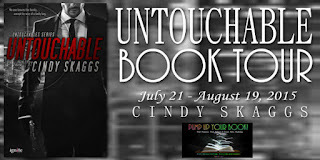 I'm Shelf-ish: Interview with Cindy Skaggs, author of Untouchable - Win a $25 Amazon Gift Card! 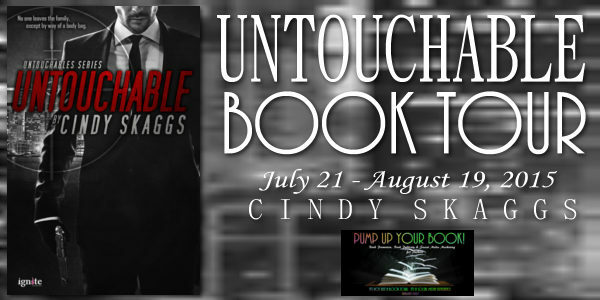 Interview with Cindy Skaggs, author of Untouchable - Win a $25 Amazon Gift Card! Getting my Masters degree in Creative Writing and getting published. Both took grit and teeth-grinding determination, and neither one is for wimps. J The publication thing is still unreal to me. I believe I did the work. I believe it was hard. What I have a hard time believing is that I actually sold a book. My dad was significantly older than my mom, and consequently, he died when I was still a kid. 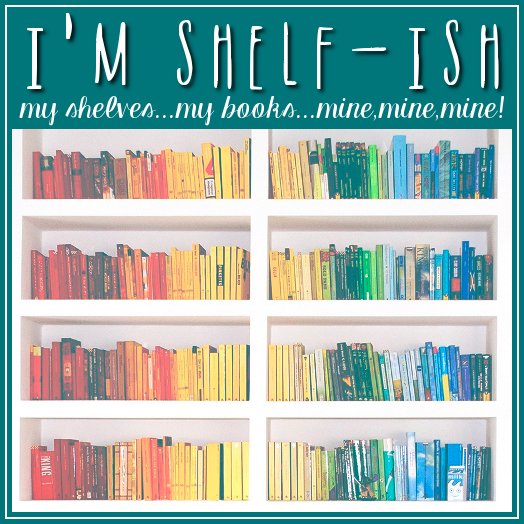 It flattened me, so I buried myself in books, starting with Nancy Drew. As a Pisces and a dreamer and an (un)realist, I lived in my dreamworld. I could create fiction out of any environment and lived there (often to my mother’s frustration). It protected me as a child, and insulated me as an adult. 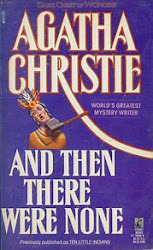 I think the ability to live in fiction is a gift, but others would say it’s a curse, because I have a hard time facing unpleasantness (why would I do that when I can read a book!?). It was an extension of my reading, and it started young. I read Nancy Drew from a young age, and in the 4th grade in Mr. Neis’s class, I started reading The Little House on the Prairie books (which lead to a long stage of historical fiction writing). When I was 13, my mother’s Aunt Ilene gave me a brown grocery bag filled with Harlequin romances, and I was hooked. She taught me that you “hid” your “trashy” romances, and that the super-hot doctor always fell for the awkward nurse/patient. I knew I wanted to create a world that existed outside reality and that ended Happily Ever After. I finished my first novel in high school. I never showed it to a soul, but through my historical, Civil War, “epic” romance, I learned that I could write, and finish, a novel. Unfortunately, I never gave myself permission to pursue writing as a career. After high school, I joined the Air Force. After the Air Force, I got a “paying” job. I went back to college, and still didn’t give credence for my desire to write. 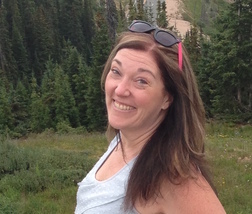 After I had kids, I “didn’t have time to write.” In 2011, I finally gave myself permission to write, and I applied to the Creative Writing program at Regis University. That’s when I finally knew that my desire to write could become a payable and pursuable career choice. Others probably don’t need as much validation, but I’m nothing if not persistent in my resistance. § Ideas that knock around in my head. § Characters that insist on a story. § Music of all kinds. § My kids. Pursuing my passion gives them permission to pursue theirs, which is the thing I want most for them. Like my reading, my writing is all over the card catalog. The best thing about getting a Masters in Creative Writing is the expansion of your awareness as a writer. It forces you to work in other genres, and I learned that I didn’t hate them. J I write literary nonfiction, and wouldn’t have known what it was if I hadn’t gone back to school. I absolutely love it. It feels very natural to write as myself (something I always thought I wouldn’t do), but romance was my first love in writing, and I’m still most comfortable there. I like the cadence and the patterns and the HEA. In high school Civics class, our research paper was presented in the form of a fictional diary. We created a Civil War character and told the story of the war based on our research. That Diary of a CW Soldier became the basis of the novel I wrote in high school. I have no idea if it was any good, but I carried it with me in the Air Force until I lost it between moves. First, my reading. I read in most genres including fiction, literary nonfiction, and memoir. When I first started working at the library, I was like an addict. A book would come across the return desk, and if it looked interesting or had a unique hook or the patron raved about it, I’d check it out. I can’t count the number of books I read that first year, and some of them were really weird, but it expanded my abilities as a writer and opened up more possibilities. I think reading is the number one thing a writer can do to improve their writing. Second, the friendships I’ve built along the way. Before my daughter was born, I became active in Romance Writers of America. I fell in with a group of amazing writers, historical mostly as that’s what I was writing at the time. We stayed in touch through an email loop, so we called ourselves the loopies. They’re these amazing, strong, vital, smart, beautiful women, and even though I haven’t seen them face-to-face in years, they still have the ability to inspire me. For me, it’s overcoming the resistance. I always have an idea or five sitting on the back burner, but I have to let them simmer for awhile, often too long, until the characters won’t shut up and I have to write. All my writing teaches me something about myself. That’s why I write. Untouchable was the book where I realized I had become too isolated. I homeschooled my kids at the time, so I didn’t get out for any school activities, and I went to college mostly online at that point, and while I went to the gym, I didn’t socialize with anyone. While my isolation wasn’t nearly as extreme as Sofia’s in Untouchable, I did recognize the problem as I wrote her. That knowledge of myself helped me to move out of it and re-engage in life. Absolutely. That’s always been the plan, since Mr. Pittman’s 5th grade writing prompt. The difference between then and now is my ability to follow through. I know that I can, and I have made serious sacrifices to build a life where writing as a career is possible. Is sarcasm a style? J I’m sure I have a style, but it’s likely easier for a reader to perceive than me. Mostly, I just write and begin to see patterns in my writing, themes that recur in my projects, even my drawer dwellers that will never see the light of day. I recognize certain ways I put together words. I like long, complex sentences. I like a slow cadence punctuated my short sentence fragments. Other than that, I think the reader will recognize my style more than I will. To me, it’s just the voice I write with. The quality of the writing, the words and sentences and the way they’re put together. I’m a perfectionist, so I go over each manuscript multiple times to “fix” every little thing. To not perfect it would be like going out in the world in sweats and no makeup. I just wouldn’t do it. In no way am I a perfect writer, and my characters and plots aren’t perfect, but the words on the page are definitely massaged within an inch of their life. Determination. I definitely played the long game in life following my divorce. I knew I wanted to set myself up as a writer, so I sacrificed material goods to make that happen. I went back to college, I found a job where I was surrounded by books, and I worked my tail off making it all happen while writing into the wee hours of the morning. There were times (still are) where I didn’t get a lot of sleep, but it was worth it. I’m a dreamer. Mostly, that’s a good thing in a writer, but I’ve avoided some ugly truths in the past because I didn’t want to face them. It made them harder to face in the end, and I wish that I had faced them earlier on, but it’s just not the way I’m built. Wow, I just realized that I built that characteristic into a male character in my other series, WC. Sometimes the mirror of my writing surprises me. I like it because it’s about action. I often say that love is an action verb. We don’t try to love (although we sometimes try not to love). When we love, we give our whole selves to it, and we act on it through big and little things. It’s the way a man will make sure his woman’s car is well-maintained. It’s the way a woman wears an outfit she knows drives her man wild. 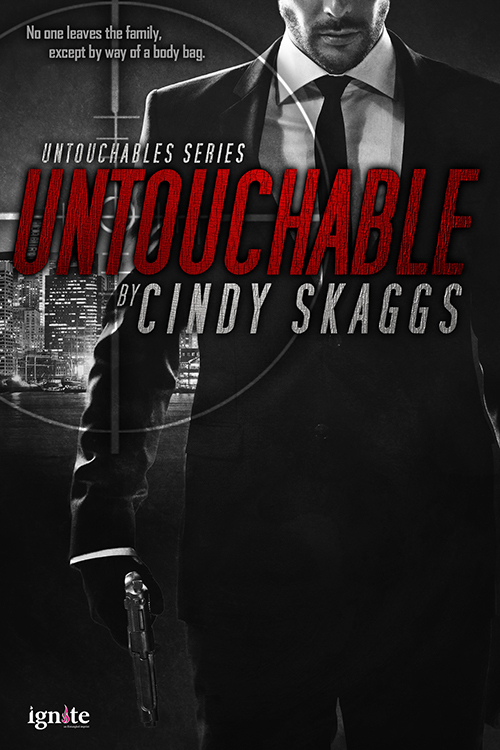 In Untouchable, Logan risks his career and ultimately his life for Sofia. He doesn’t try to help, he acts. 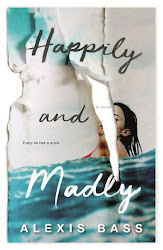 Because Sofia is repressed, she has a harder time acting on her feelings, but she learns to trust Logan, and for her, that’s the biggest risk and the best action she can take.